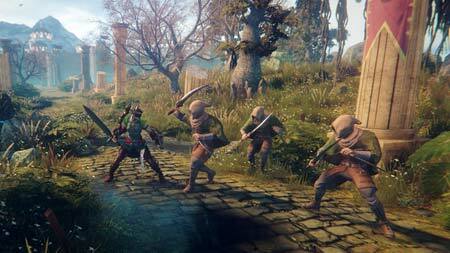 Hand of Fate 2 is a dungeon crawler set in a world of dark fantasy. Master a living boardgame of infinitely replayable quests, unlock new cards, build your adventure, then defeat your foes in brutal real-time combat. The table has changed, but the stakes remain the same. The game features 22 exciting new challenges that will push your deck-building skills to the limit, hHundreds of new encounters, artifacts and items to earn and upgrade. If you get stuck in the game, check out the video walkthrough or gameplay for the game. This entry was posted in Android Games, iOS Games, Mobile Games, Walkthrough and tagged Hand of Fate 2 Cheats, Hand of Fate 2 Gameplay, Hand of Fate 2 Guide, Hand of Fate 2 Hints, Hand of Fate 2 Review, Hand of Fate 2 Solutions, Hand of Fate 2 Strategy, Hand of Fate 2 Tips, Hand of Fate 2 Walkthrough by Marvin. Bookmark the permalink.